Though miles away from the Gulf, Pennsylvania restaurants know their stuff when it comes to oysters. They’re every bit as good as what you’d find along the coast, giving you plenty of reasons to savor your meal. Find some of the best oysters and other seafood at these 10 best oyster places in Pennsylvania. This long-time family-owned seafood eatery has been serving up tasty oysters since 1949! They have a full raw bar featuring oysters on the half shell, along with fried oysters to give you exactly what you’re craving. They’re really committed to the nautical theme, from the pirate-ship shape to the lighthouse bar and more. This New England Style seafood restaurant has all your oyster and other Seafood favorites. Their raw bar features the most expensive variety of oysters on the half shell you'll find in the state. Even better, they focus on local varieties from the Mid-Atlantic and New England for a fresh experience that's hard to come by in Pennsylvania. The only thing that can beat these oysters are the weekly specials that make them budget-friendly. 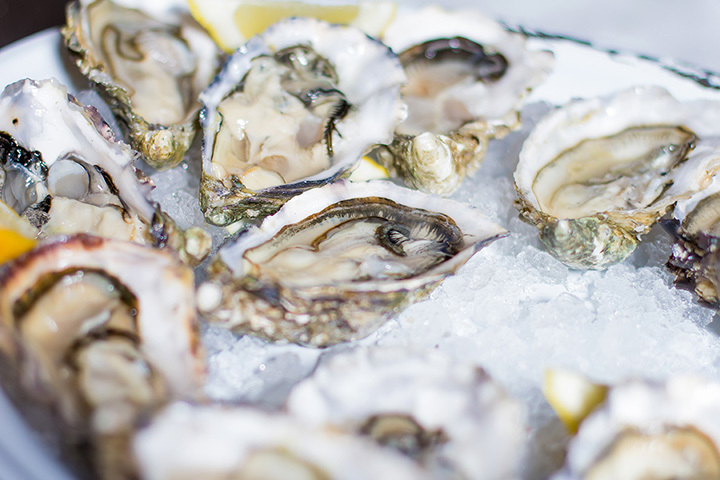 Their Buck a Shuck specials on Wednesdays and Thursdays and a half-priced raw bar on Friday is enough to get excited about. Their sophisticated ambiance only adds to the experience. A longtime local favorite, this oyster house has been bringing all the fresh flavors of the sea to Allentown since 1895! They’ve been recognized numerous times for their outstanding seafood, crab cakes, and other fine fare, and the oysters aren’t to be missed. And don’t forget to pick up some of their famous honey before you leave! To be fair, oysters aren’t the prettiest creatures, which probably impacting the naming decision of this restaurant. Looks aside, this authentic Irish pub knows how to pair food and form into one exquisite experience. Fried oyster sandwiches, platters, and a raw bar give you plenty to choose from. This beloved tavern offers two locations to fuel your oyster cravings. They feature a variety of oyster on the half shell options you won’t find just anywhere in Pennsylvania. And their extensive wine list offers several perfect pairings to complement your order. The best of east and west coast oysters come together under one roof. Their fresh oysters on the half shell are sold per piece so you can order exactly how much your appetite demands. And don’t forget about their oyster shooters—your choice of oyster for just $3! They’re bringing the freshest flavors of the Atlantic and Gulf of Mexico straight to PA. They’re concerned about sustainability and ethical practices, so you can rest assured their oysters as good for you as they taste. They’re also one of the best places in town to grab a local brew. Perfect for lunch, dinner, or Sunday brunch, the oysters here are always in season. This is one of the only places where you’ll find a full raw bar available for brunch, including their delicious purple mountain oysters. For dinner, you can pair your oysters with other seafood options to create your own sampler. This sports and raw bar truly has something for everyone, from fresh ground burgers to wings to homemade crab cakes. But their oysters are a definite must-order! They’re always fresh, never frozen, to give you the best flavor and quality, plus you can order a sampler to get some of the best of everything this place offers.